The Mercure Livingston Hotel is a sophisticated 3-star hotel situated in the heart of the city. Just 16 miles south of Edinburgh and close to some of Scotland's best country parks, it offers guests the perfect blend of style and convenience. 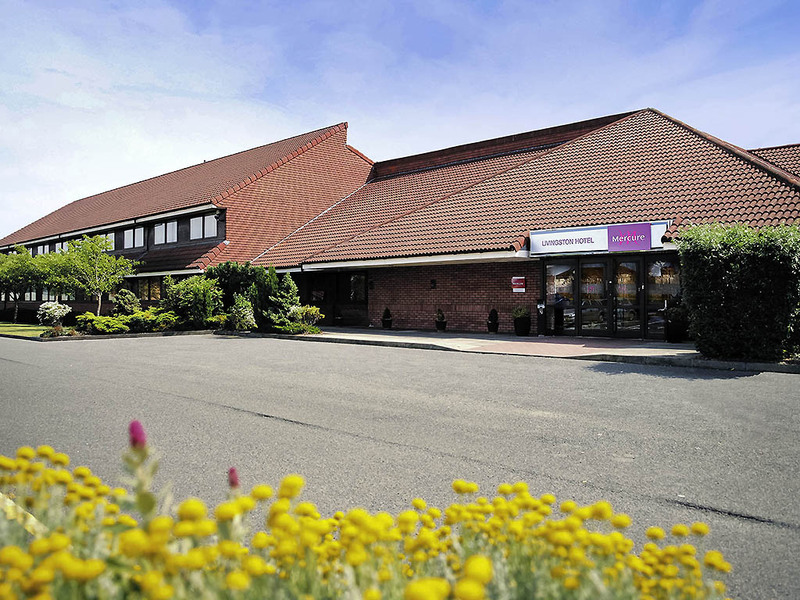 With on-site leisure facilities at the Feel Good Health Club, eight meeting rooms and a dedicated restaurant & bar offering international cuisine, it's the prime destination for both business and leisure guests. Just 16 miles south of Edinburgh with its world-famous arts festival, the Mecure Livingston hotel is a great base for exploring central Scotland and West Lothian's country parks. We're easy to find, just off the M8. All bedrooms feature a flat-screen TV and complimentary high speed WiFi. Three-quarters of our 120 rooms have views of the lawns and courtyard garden. Our interconnecting rooms are convenient for families. In privilege rooms you'll enjoy a Nespress o coffee machine, newspaper, robe and slippers. The Brasserie offers traditional and internationally inspired cuisine, delicious desserts and a selection of fine wines to compliment your meal. In a relaxed atmosphere for an enjoyable dining experience. The bar offers a range of wines, beers, spirits and soft drinks. Our bar staff will ensure that you are looked after and enjoy your experience in our relaxed surroundings. Light meals are also available in the bar.